The event stretched four hours with more than 300 participants. Participants of the tomato festival engaged in various games like 'tomato fight', tug-o-war, mini football, water bucket relay and a 'climb the coconut tree' challenge. The tomatoes used in the festival were ripened under sunlight three days prior to the event; a step taken as precaution to avoid the participants getting hurt from getting hit by tomatoes. After the tournament, fire brigade stepped in to wash up the tomatoes across the event venue. 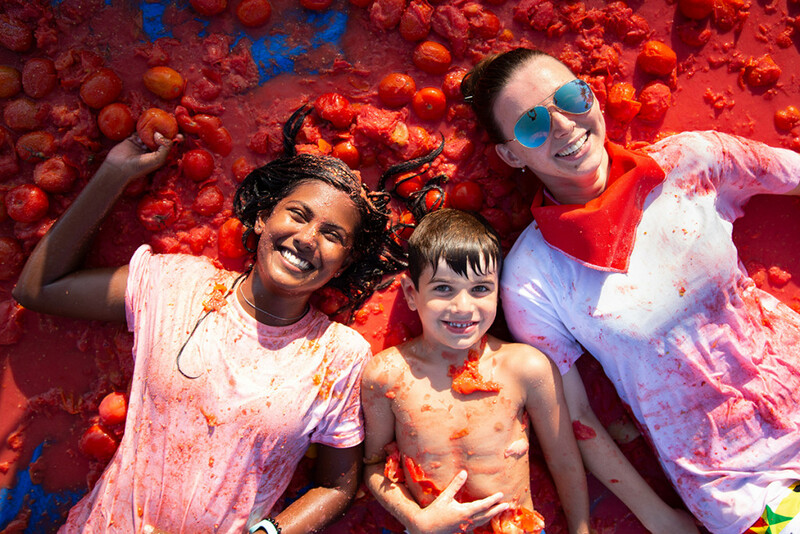 The first 'La Tomatina' festival at Spain dates back to 1945 during the second world war era.